I am often asked. "What do pigeon eat?" 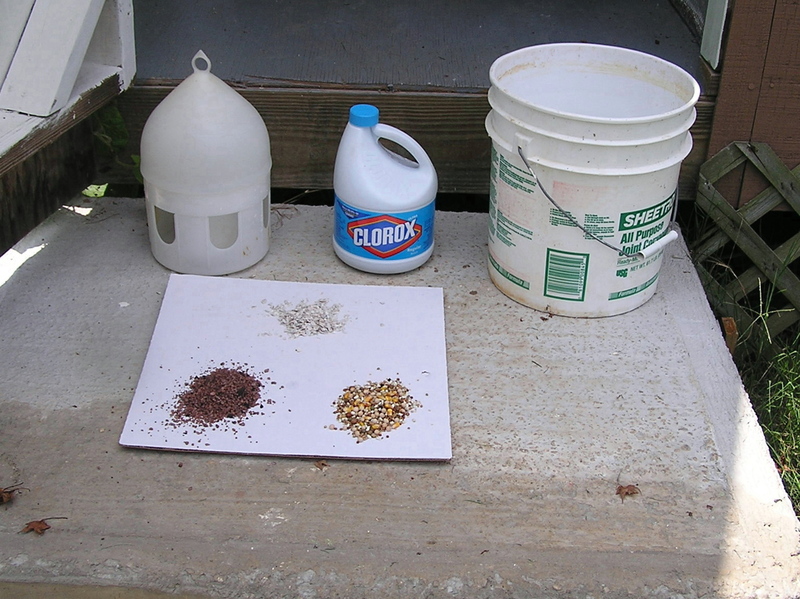 The picture above has on the white cardboard top center oyster shell, on the lower left grit, and on the lower right commercial mix of pigeon feed. The oyster shell is important because it contains Calcium. This is important to pigeons because most grains are deficient of this mineral. I like to add it to the grit whenever my birds are breeding. One brand of commercial grit contains Calcium carbonate, granite grit, salt, charcoal, anise oil, zinc oxide, manganese oxide. Ferrous carbonate, cobalt carbonate, and iron oxide. They are all import minerals, needed by pigeons for digestion, and when rearing young. My feed is always a commercial brand. While many that race pigeons feel this is a very important topic, I myself do not. I do purchase feed that has a variety of grains, and is clean. I better stop at that because I don't want to anger many in the sport. In the picture above you see a pigeons drinking vessel, a gallon bottle of Clorox, and a five gallon bucket. I pour about a cup of Clorox into the five gallon bucket then fill it with water. I then place the drinker into the bucket and let it stand over night. I do this because I believe many of illnesses pigeons get are transmitted from the water they drink. Soaking the drinker in Clorox will kill any bacteria in the drinking vessel. Many years ago I read that many of the poultry breeders were adding Clorox to the water because the chicks they raised gained more weight. I took this advise, and it has worked very well for me. I add half of a teaspoon to a gallon of water. This is given to my breeders while the are raising young, and to the young birds for about 4 weeks after they are weaned.